Are your gutters dirty? 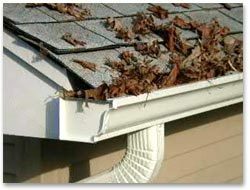 Do you have trees around your home that shed leaves all over your roof and into your gutters? 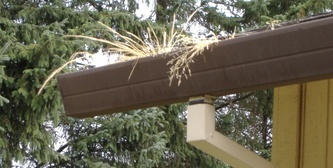 Has it been neglected for so long that you have grass growing from the gutter? Is water pouring overhead when it rains? We offer emergency service to accommodate to your gutter cleaning needs! However, routine cleanings will assure proper flow of water, maximize the life of your gutters, and reduce the risk of water damage to your property. Our service includes removing the contents from the gutter and making sure that each individual downspout is running properly. -Gutter cleaning should be done once a year if you have trees around the house and at least once every two years if you do not. -Remove debris (leaves, dirt, etc.) from your gutters to eliminate the risk of damage to gutters and your home. -A plugged downspout can cause water to fill up the gutter and possibly back up into your home, damaging your roof and walls. Repairing a roof or a wall of your home will be many times more costly and time consuming. 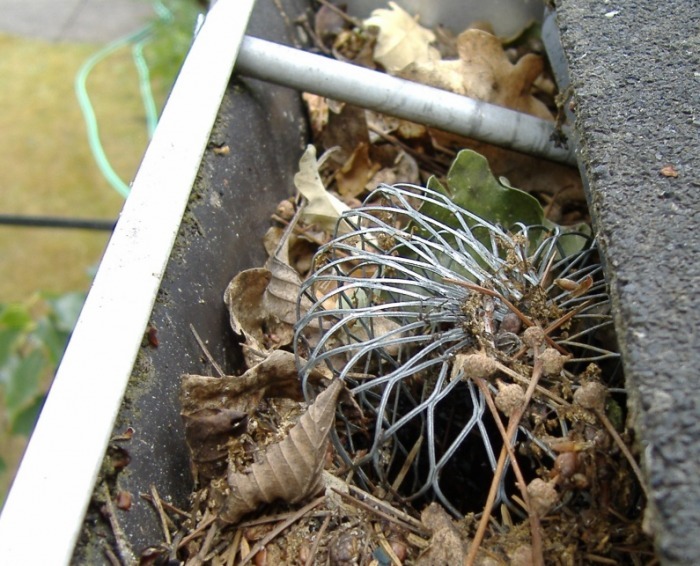 -Keeping up with regular preventative maintenance will ensure proper water flow and extend the life of your gutters and home. Has the gutter been clogged for so long that grass is growing?